ABS-CBN Broadcasting Corp. took President Rodrigo Duterte‎’s money and he has the documents to prove it. ‎A Politiko source from the Palace showed a copy of May 3, 2016 receipt issued by ABS-CBN to prove that Duterte paid P9.3 million for the media giant to run his campaign ad in reply to the anti-Duterte ad paid for by Sen. Antonio Trillanes. 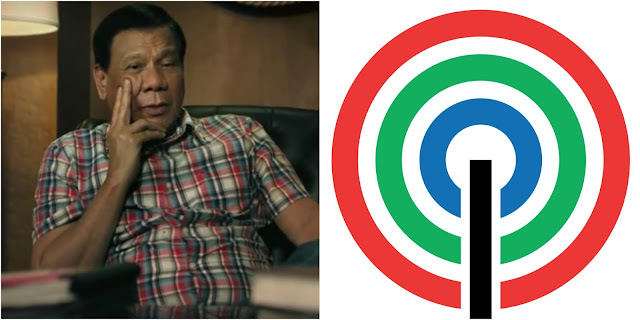 Duterte has been railing at ABS-CBN for the last few weeks for refusing to run his ad after getting his money. He accused the TV network of estafa and called their bosses “swindlers” for refusing to pay him back. Duterte said that it was only recently that ABS-CBN’s Davao ‎offered him a check to settle the dispute. ‎But Duterte has already made up his mind not to accept any offer from ABS-CBN to settle the matter. “Tinanggap nila ang pera tapos ang ABS gusto isauli, sabi ko, ‘huwag mo na lang tanggapin, abuloy ko na lang ‘yan,” said Duterte in a speech in the Middle East.